Kore-eda's Cannes top prize winner is in UK cinemas in November. Earlier this year, writer/director Hirokazu Kore-eda gave us the gripping thriller The Third Murder, a significant departure for a filmmaker who has become known as the modern master of the family drama. With Shoplifters, Kore-eda returns to familiar territory to tell the story of a struggling family forced to steal to survive, who take in a young child they find on the street. 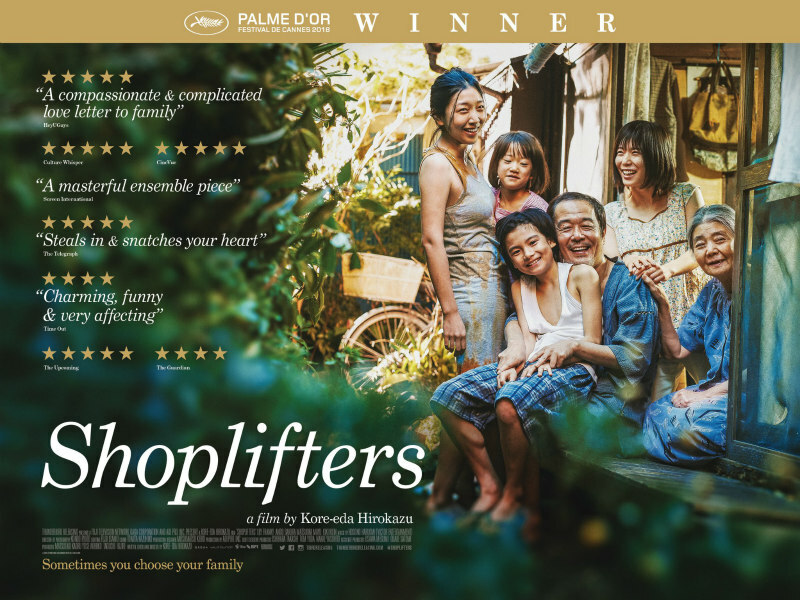 Shoplifters, which was awarded the Palme d'Or at this year's Cannes Film Festival, is in UK cinemas November 23rd.